How much do we throw away? Did you know, the average American creates 4.4 pounds of trash, also called municipal solid waste (MSW), per day? That translates into 1 ton of MSW per person annually. Across the United States, much of that waste is sent to landfills (54% according to the U.S. Environmental Protection Agency). But in Southcentral Pennsylvania, LCSWMA diverts most MSW from the landfill (96% - 98% each year). Instead, we transform waste into a resource for making great things happen in our community. Because we believe waste is valuable, powerful, and provides opportunities for beautiful and creative things. More importantly, we understand that waste connects us. What happens after something is thrown away? Well, it never really goes "away." It must go somewhere. At LCSWMA, it’s our job to manage the waste in a way that protects and benefits our community. In Lancaster and Dauphin Counties, LCSWMA manages the waste through our nationally recognized and award-winning Integrated System that not only reduces landfill use, but powers our community. 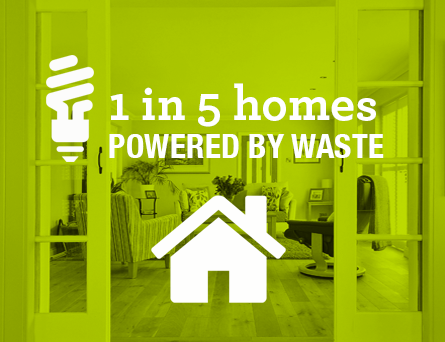 In fact, we power 1 in 5 area homes with trash! How does the Integrated System work? This includes curbside and drop-off recycling, as well as proper disposal of household hazardous waste. Private haulers deliver the post-recycled waste to our Transfer Station Complex, where it is loaded into trailers and transferred for further processing and disposal. Our waste-to-energy facilities (WTE) combust the waste, reducing its volume by 90% and creating renewable energy (electricity). Only a small percentage of waste that is not recycled or converted to energy is disposed in our environmentally sound landfill. Did you know waste is powerful? 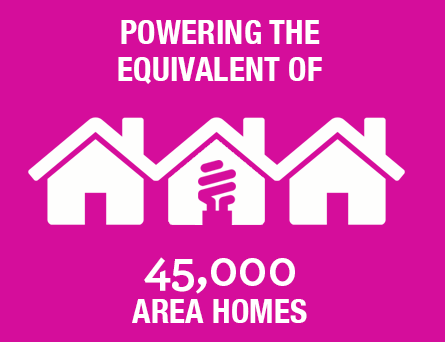 Powering the equivalent of 45,000 area homes with trash. 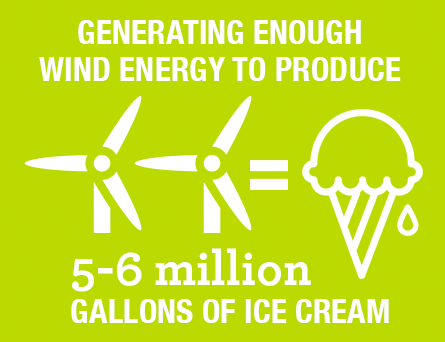 Generating enough wind energy to create 5-6 million gallons of ice cream. 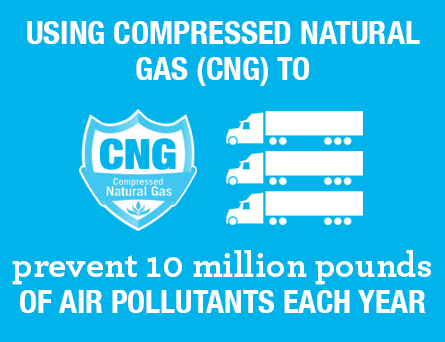 Using compressed natural gas to prevent 10 million pounds of air pollutants each year. Can you imagine waste creates beautiful things? In addition to reuse, recycling, and renewable energy, waste also provides an opportunity to create beautiful things in our community. LCSWMA owns over 1,000 acres of land. This land is not only used to host the Integrated System, but also open space and recreational trails for the community to enjoy. Waste also connects us in ways we may not realize, including the arts and other cultural activities. We invite YOU to help transform waste into a resource! While LCSWMA works hard to transform waste into a resource, we need the help of residents, businesses, institutions, and community groups. It takes all of us to create a more sustainable world. Show us how you RETHINK waste, RECOVER value from it, or take a RENEWed approach to minimizing your garbage footprint.